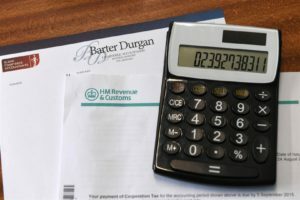 Have you ever wondered what would happen if you or your company was chosen for a tax enquiry, whether it be a VAT inspection or an enquiry into how much CIS suffered you have submitted on your monthly return? Tax enquiries opened by HMRC have increased substantially and the likelihood of being inspected has risen. Tax enquiries can be complex, stressful and costly. If you are unfortunate enough to be selected for inspection you could face substantial unplanned professional fees. Barter Durgan offers its clients a fee protection insurance in conjunction with Croner Taxwise Limited. For a small annual premium this will cover those extra fees incurred for our services during the investigation. All clients can also enjoy the benefits of the Employment Law and Health & Safety advice team at Peninsula for no extra cost. With over 25,000 UK businesses as clients and more than 900 staff, Peninsula are the country’s largest Employment Law specialists and our clients have the benefit of their 30 years’ experience. Please contact us for more information about our fee protection service.